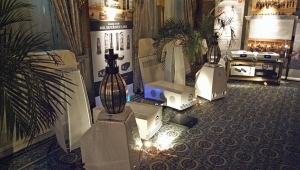 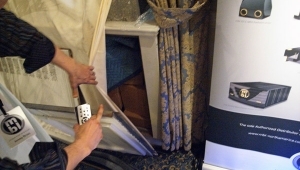 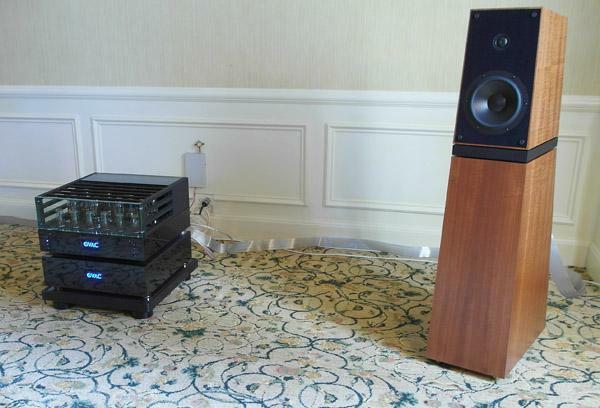 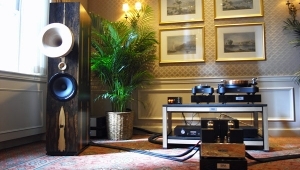 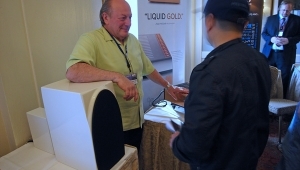 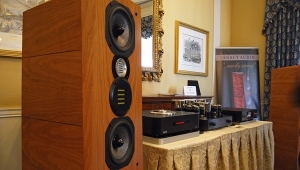 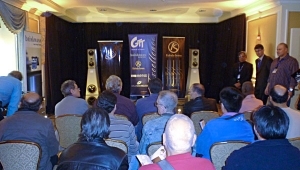 Andy Singer, the retailer whose name and likeness have come to epitomize the high-end audio scene in New York City, brought two complete systems to the New York Audio Show, the more ambitious of which was built around the Verity Amadis loudspeaker ($30,000/pair). 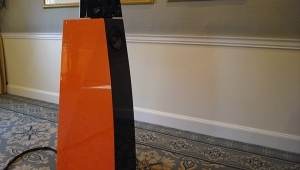 This three-way design uses a separate enclosure for its reflex-loaded woofer, which is then separated from the midrange/high frequency enclosure by means of a specially damped aluminum platform. 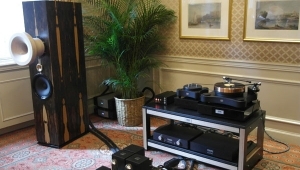 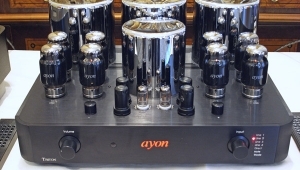 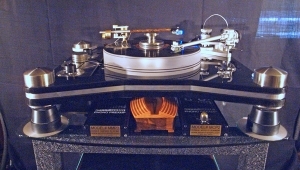 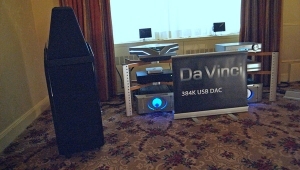 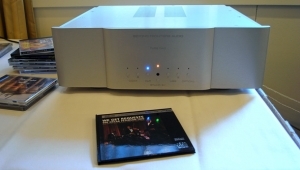 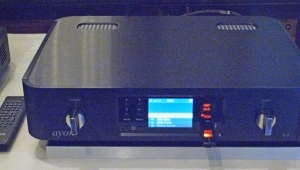 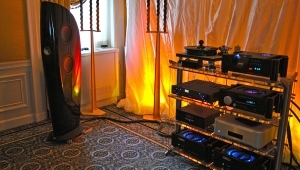 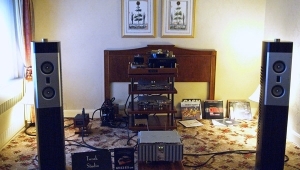 Fed by a Playback Designs MPS-5 D/A converter with CD/SACD drive ($17,000) and driven by the VAC Statement Mk.IIA preamp ($19,000 including phono section) and VAC Statement 450S stereo amp ($39,000), and with Nordost cabling throughout, the Verity Amadis sounded open, clear, and nicely textured.